Andaman Dive Adventure Lanta has undertaken a partnership with Dive Assure. 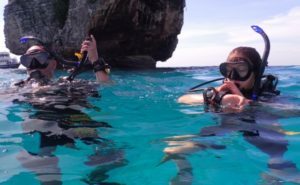 This results in a free insurance for Padi open water diver students for diving during their Padi open water diver course. Also it gives other divers the chance to take a 2 week, one month or even a year insurance for diving through Andaman Dive Adventure. Please ask us for quotes. More safety while diving ! TripAdvisor Certificate of Excellence 2018 ! Hoe is het weer op Koh Lanta, Thailand in Januari 2017 ?